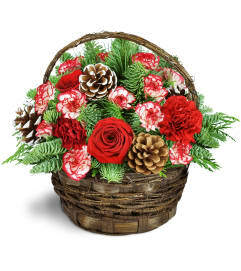 The FTD® Holiday Celebrations® Bouquet is stylishly set to wish your special recipient a very merry holiday season! 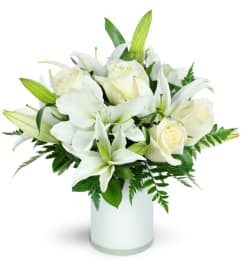 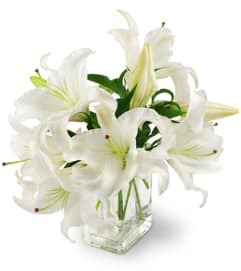 A sleek and refined fresh flower arrangement, this bouquet brings together rich red roses, red carnations, and red mini carnations to create a colorful backdrop to eye-catching white Asiatic Lilies and holiday green accents. 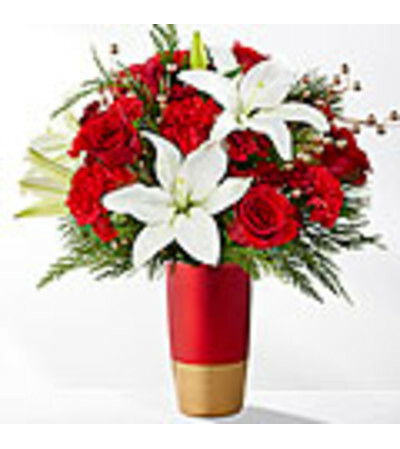 Presented in a modern shining red and gold keepsake vase, this holiday bouquet is a wonderful way to send love and gratitude to friends, family, and co-workers throughout the yuletide season.